The highest quality, practical, transparent education to everyone! This scheme is targeted at school-leavers (matriculants or A level students) wishing to pursue an undergraduate degree in commerce, science, engineering or technology. For financially deserving and academically sound undergraduates wishing to pursue postgraduate studies in commerce, science, engineering, mathematics and technology at our preferred academic institutions. In honour of our 150th anniversary in 2012, we launched our 150 bursary and scholarship fund, designed to promote academic excellence (in various disciplines within commerce, science, engineering and technology) and to target a range of recipients. To apply for this bursary you must be a well- rounded, undergraduate student with strong academic results and entering your second or third year of study in commerce, science, engineering, mathematics and technology at our preferred academic institutions. SMS: Sms the word STANDARD, your name, surname, postal address and postal code to 31022. – SMS: Sms the word STANDARD, your name, surname, postal address and postal code to 31022. • Due to a possible postal strike, we encourage applicants to make use of the online application facility http://www.studytrust.org.za. • Applications that are not 100% complete will not be considered. Please ensure that all the requested documents are attached 1. Selection criteria 1.1 Only applications from South African citizens will be considered. 1.2 The main criteria for the selection of applications is financial need and academic potential. 1.3 Bursary applications are invited from young people who aim to study full time towards an undergraduate university (academic) degree in Commerce (Economics, Business Economics, Accounting, Investments and Finance), BCom Informatics, BSc Computer Science, BSc Information Technology, BIT-Bachelors of Information Technology, BIS-Bachelor of Information Science, Business Science, Science and Mathematics, Engineering or Commercial LLB 1.3.1 1.3.2 Students who apply for an Engineering degree may be considered for the Sasol Inzalo Foundation Bursary should they qualify Only first year Actuarial Science students already at university will be considered. 1.4 Applicants currently in Grade 12 and applicants already in possession of a National Senior Certificate should have obtained at least 60% in all their subjects with a minimum of 70% in Mathematics (not Maths Literacy) and 70% in English FAL or 65% in English HL Please apply timeously for admission to the educational institution of your choice. 2. Instructions for submission of application forms 2.1 Applications will only be considered if completed in full and signed by the applicant and if all the supporting documents have been included. 2.2 Documents that accompany the application form must be certified (see checklist below). Please tick “3” on Yes if you have included a certified copy of the specific document. (Your application will not be considered without the relevant documentary proof, as applicable). 1. South African ID 2. Grade 11 results 3. This year’s June results (or your latest results if you are not studying this year) 4. Official Matric/ NSC results if you have completed Grade 12 5. Tertiary students: June results or progress report of all subjects (if no examinations were written) 6. Payslips for your parent(s)/ guardian if employed (or letter from employer and sworn statement or tax return statement stating income) 7. Latest financial statements if your parent/ guardian is self-employed 8. Sworn affidavits if your parent(s)/ guardian is/ are unemployed 9. Death certificates if your parent(s) is/ are deceased 10. Divorce certificate if your parents are divorced 11. Sworn statement from one parent if your parents are separated 2.3 Bursaries will only be offered to applicants who are currently in Grade 12 or in their first year of University. 2.4 Changing your degree after submitting your application form may lead to a cancellation of the bursary. 2.5 No bursaries are available for private tertiary institutions. 3. 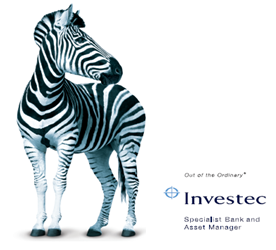 Bursary amounts Investec offers full cost bursary annually towards study-related expenses. Terms and conditions apply. 4. Completed application forms: acknowledgement of receipt StudyTrust (Investec’s bursary administrator) will notify you by sms when your application form has been received. All properly completed applications will be considered and a selection will take place from September to December 2016. All applicants may be notified of the outcome by sms not later than 21 December 2016. The Funza Lushaka Bursary /scholarship Programme is a national programme headed by the Department of Basic Education, funded by the National Treasury and administered by the National Student Financial Aid Scheme (NSFAS). Individuals can only apply for the bursary once they have been accepted to the university of their choice and have been allocated a valid student number – the student number is needed in order to complete the Funza Lushaka application form online. More information on their bursary program can be found on theFunza Lushaka Website. The bursary shall cover tuition fees as determined through statement of account up to the maximum capped amount of R45000.00 for Under­graduates and R60000.00 for Post­graduates per annum. If there is a balance available then books and other expenses can be covered based on proof of expenditure up to the maximum capped amount. Attach a certified copy of final Grade 12 results or recent statement of results. The objective of the Harmony Gold Bursary Scheme is to recruit and select bursars preferably from communities surrounding our operations for full time study at accredited Tertiary Institutions. The Bursary Scheme accommodates students entering or already at Tertiary Institutions.